One of the photographers in the Unseen Mae La project talked a lot about religious freedom inside the refugee camp. He explained that in Burma there is no religious freedom, at least not for the Karen people. However in the refugee camp people respect each other's diverse religions. 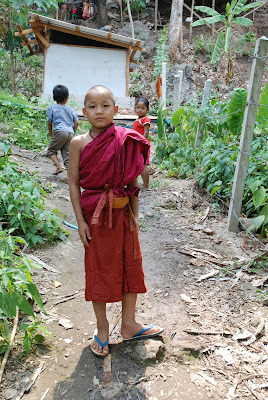 The predominant religion in Burma is Buddhism. Muslims and Christians face widespread discrimination. The Burmese Junta has used the support of the Buddhist monastic order as a source of legitimacy. However last fall we saw the monks of Burma bravely rise up against the Junta.